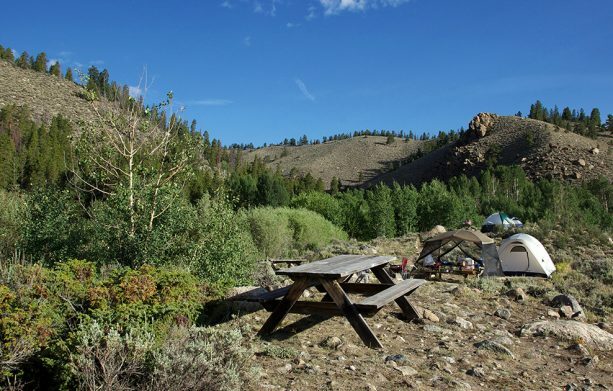 AVA’s Buena Vista Outpost has 5 on-site cabins that accommodate up to four people each. 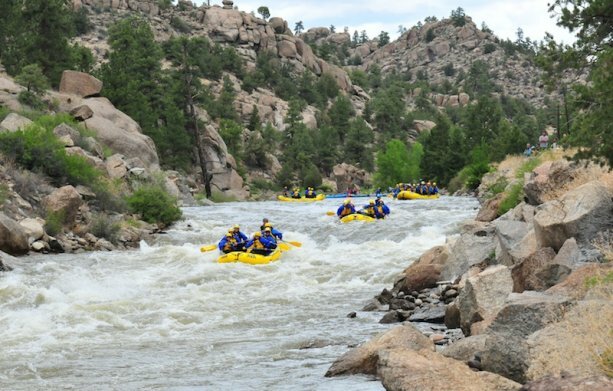 Located at the base of several 14,000-foot peaks, access to the Colorado Trail and several other hiking trails is easily accessible. Within only a few miles are several public access spots for river or lake fishing. Make things easy on yourself—stay with us the night before your trip and/or the night of your trip. Wake up to a high-mountain sunrise over dramatic rock outcroppings, and then come into our main lodge to check in for your trip. When you return, your cabin awaits you. Our log cabins are set along a creek and sleep four guests each. All are appointed with log furniture, quality mattresses, and hard-wood floors. Each has its own toilet, sink and shower. Picnic tables and shared charcoal grill are provided for barbecues (no charcoal provided). Cabins include a mattress, pillow, and sleeping bag. Recommended check-in time is 3pm. AVA Rafting & Zipline will provide all the essentials when you book your cabin rental with us. That includes beds, pillows and sleeping bags. The site also provides picnic tables and a charcoal grill for your convenience. "We will definitely be back." Chris Baer was an awesome guide. We stayed in one of the cabins onsite - very clean and comfortable. We took the Numbers trip and loved every second of it! Lunch was great! AVA's Buena Vista Outpost Opens THIS SATURDAY!